Musikmesse visitors will have the opportunity to discover on Wednesday in Frankfurt the new RME FireFace 802 audio interface. MADI is quite popular this year at Musikmesse, and specially at RME who introduce the MADIface XT audio interface with USB 3.0 port. RME updates its portable USB interface with two new features: USB Audio 2.0 Class Compliance for connections to the iPad and a stand-alone mode. On the first day of winter NAMM RME launched its new audio interface: the Fireface UCX — RME UFX's little brother. The Fireface UCX includes iPad support. Here is a snapshot review of the Fireface UCX. RME starts shipping the Fireface UCX, a 36-channel USB and FireWire solution for studio and live recordings. 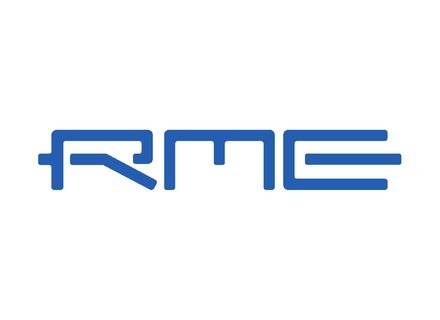 RME's Snow Edition is introduced as a special edition of the Babyface, RME’s USB audio interface, limited to 1500 units worldwide, and available for a short time around Christmas 2011.